Code it Pretty: Selling Ads on Your Blog? You Need to Know Nofollow! Selling Ads on Your Blog? You Need to Know Nofollow! Updated in September 2013 with new resources. Most bloggers know that you have to disclose sponsored posts to your readers, but did you know that you should also let search engines know when links are sponsored by adding the "nofollow" tag to the link? If you didn't, you're certainly not alone. This little detail is woefully under-explained and often overlooked. But don't worry, I'll get you up to speed today! It's a microformat tag added to the end of a link that instructs search engines not to "follow" the link. When a search engine encounters a link with a nofollow tag, it does not count the link toward the search engine rank of the target site. If your link to your sponsor is an image link (for example, in a sidebar ad), your link to your sponsor will be wrapped around an image element. Make sure to put the nofollow tag inside the link element , not the image element. Look for the anchor tags wrapping the link element (<a> and </a>) to help you tell it apart from the image. What Happens When I Nofollow a Link? Adding the nofollow tag to a link tells search engines that you added the link to your post because you were paid to, or because you don't want to necessarily endorse the linked site. A nofollow tag does not change what happens when your readers click a link, and the link will not look different to your readers. Also, nofollowed links are not harmful to the search ranking of linked sites (no matter what some less-than-respectable advertisers may tell you). 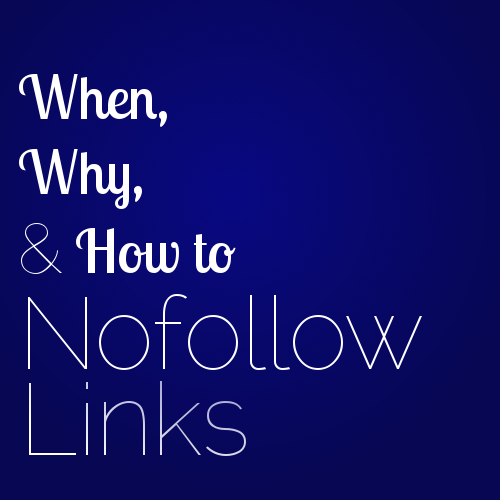 Why Do Search Engines Want the Nofollow Tag? Despite the complexity and sophistication of their algorithms, search engine robots are kind of dumb. Even if you clearly disclaim your sponsored posts and advertisements in a way that your human readers understand, your robot readers won't know that you've disclosed your paid links unless you use the nofollow tag. Google expects you to either add the rel=nofollow tag to the end of paid links, or redirect the paid links to an intermediate page on your site that's blocked from search engines in your robots.txt file. For more information, see Google's official policy on paid links. In summary: Google can recognize affiliate links from most major services, so nofollow-ing those links is not quite as important. But, it doesn't hurt to nofollow them, either. Do I Need to Add Nofollow to Adsense or Network Ads? Adsense ads do not need a Nofollow tag since they redirect through Google Ad Services and/or Doubleclick before going to the advertiser's site. Many other ad networks work in a similar way — my two favorite indie ad networks, Passionfruit Ads and Adproval, use the nofollow and redirect methods, respectively. If you're running banner ads through a network and are not sure if they're redirecting or nofollowing outbound links, check the ad network's documentation or contact them for more info. Oh no, I'm already running ads without Nofollow! What do I do? Well, first, don't freak out, it's fixable! There are a couple of different ways to do your nofollows. The technically simple, but potentially time-consuming way, is to go through your existing ads and sponsored posts to manually add the rel="nofollow" tag to each sponsor's URL. If you're using a Wordpress plugin to handle your banner ads, that plugin may already take care of your nofollow needs for you. Many advertising plugins either add nofollow to ad URLs automatically or redirect the URLs so you're not directly linking to your advertiser. Check the documentation for your plugin to find out how it handles advertisers' links before you set yourself up for an afternoon of unnecessary work! Another option for self-hosted Wordpress users is a redirection plugin. Lisa from Elembee has a tutorial on using the Redirection plugin to redirect affiliate links, which you can easily adapt to work for your sponsored post links or links in banner ads. 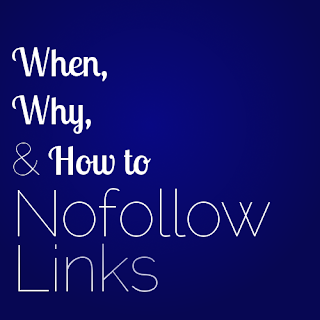 Don't Forget the Nofollow Code When You Sell Advertising from The Work At Home Wife — this post gets into the potential consequences of not using nofollow, and what to do when a sponsor tells you they don't want a nofollow link.